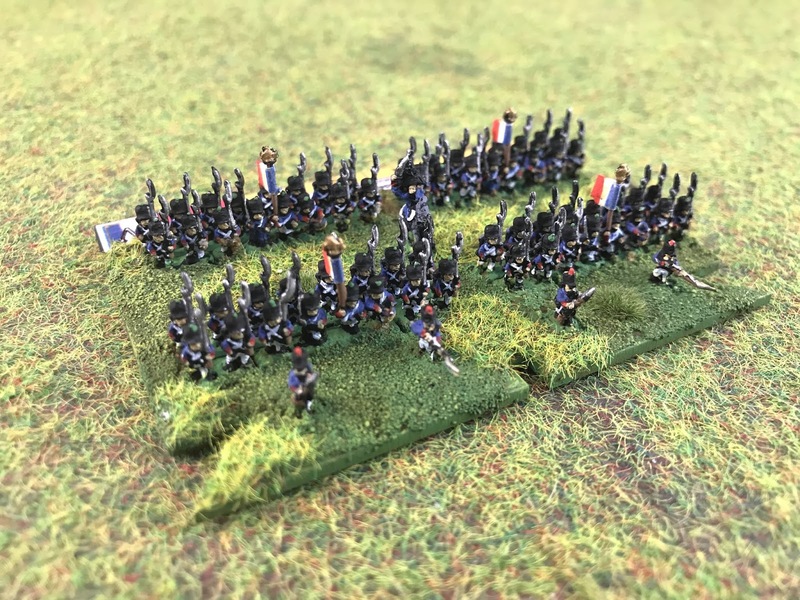 14th Division of Napoleon's army in 1815 was, like all the division, split into two brigades and this is the first of those. 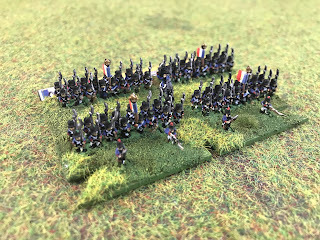 It was commanded by Général de Brigade Baron Etienne Hulot de Mazarny and the two regiments that made up the brigade were the 9th Light Regiment and the 11th Line regiment. 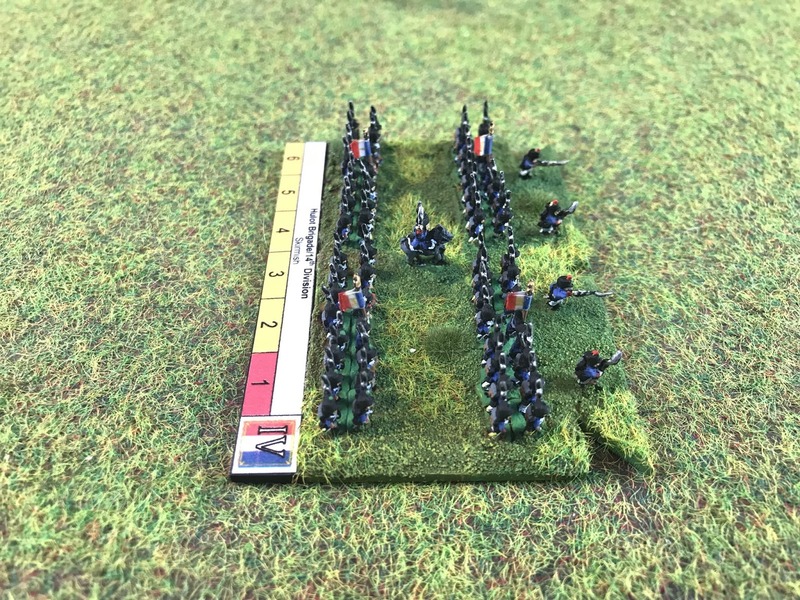 When Napoleon's army advanced across the Belgium border and opened the 100 Days campaign, Comte Bourmont originally led the 14th Division as they supported the movements towards Charleroi, where he and five other officers defected to the Prussians, being ardent royalists! 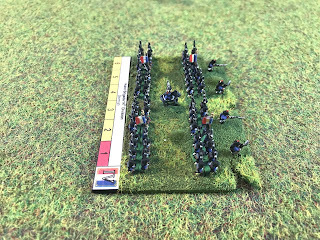 During the Battle of Ligny on the 16th of June, the division was on the French right flank facing the village of Tongrenelle and skirmished with the Prussians. 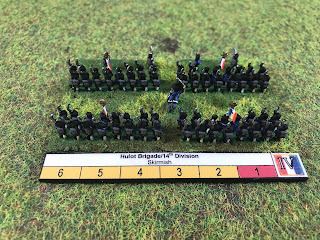 On the 18th of June at the Battle of Wavre, the division was ordered to attack around 5.00pm after the 10th Divisions fruitless attack previously. The 9th Regiment was in the lead and was accompanied by Hulot, who was wounded in the attack. The attack was halted and the division ended their part of the campaign. This brigade is the penultimate infantry brigade for the IV corps, so there's not a great deal left to do to finish off the full formation now. Next Saturday is Salute and I have been graciously invited with a press ticket for the day, so the next blog will be a post about that, but there's still more coming from IV Corps, so stay tuned! In the meantime, please also check out the new gaming and military history videos over on Youtube for my Storm of Steel Wargaming channel, like this one about the Judge Dredd Roleplaying Game and the one below about the T-34 tank please subscribe for more in the future!